Update: And Kojima’s confirmed the announcement. As a special treat, Steam players will also get access to a special cardboard box, complete with the iconic red valve. While a PC version of Metal Gear Solid V: Phantom Pain and Ground Zeroes was expected, with Hideo Kojima calling it likely, but “not a priority”, Konami accidentally leaked confirmation today before its presentation at Gamescom. 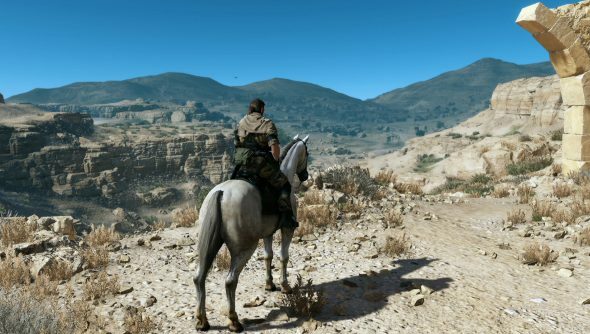 Metal Gear Solid V will be coming to Steam. The announcement was a slip up, and the link ended up on an error page. It’s since been removed, but not before screencaps were taken. It’s not a huge surprise, but it’s welcome nonetheless. After quite a bit of waiting, the action spin-off Metal Gear Rising: Revengeance was eventually ported to Steam, suggesting, at the time, that this would pave the way for future PC ports. 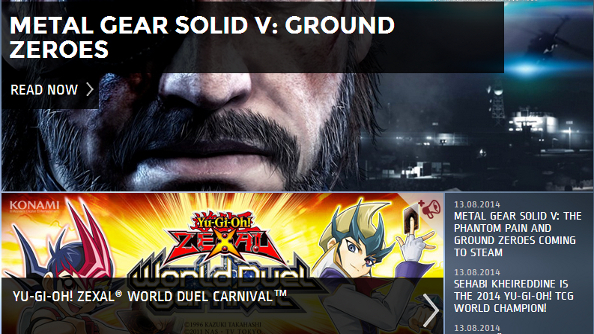 Konami’s presentation is already in full swing, and you can watch Kojima being bombarded with questionsright here.